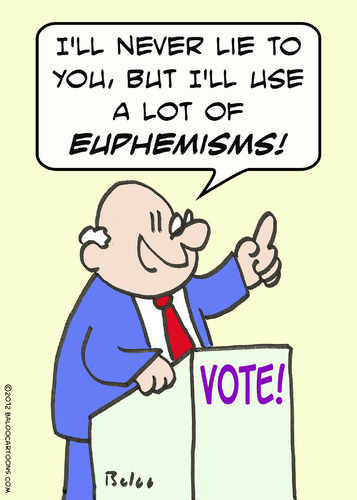 Euphemisms are an everyday part of the English language. From politicians trying to disguise the truth of their messages to friends trying to talk about something taboo while in polite company, euphemisms are everywhere. In this, the sixth monthly podcast from the Queens School of English (wow those months really fly by don’t they?) we’re going to find out exactly what they are and how you can use them to better improve your English. You might be interested to check out this famous sketch from Monty Python’s Flying Circus, which uses a lot of euphemisms to humorous effect.